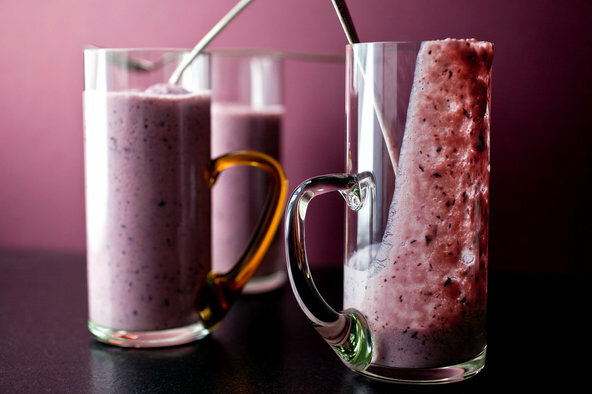 Are Smoothies Better for You Than Juices? Healthful, fast and affordable food is the holy grail of the public health and nutrition community. A popular restaurant chain shows just how much of a challenge that is. 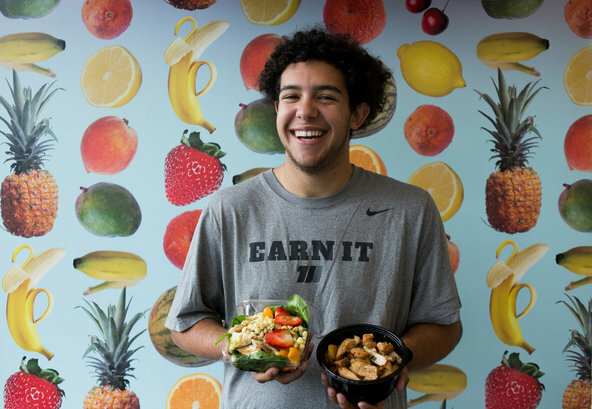 It began when three Georgetown University students were frustrated that they could not find a healthy fast-food restaurant near their campus. With money raised from family and friends, they started their own, renting a small storefront on M Street in Georgetown. The result was Sweetgreen, a restaurant that offered organic salads, wraps and frozen yogurt. Pretty soon, the daily line of lunchtime customers stretched out the door and around the corner. 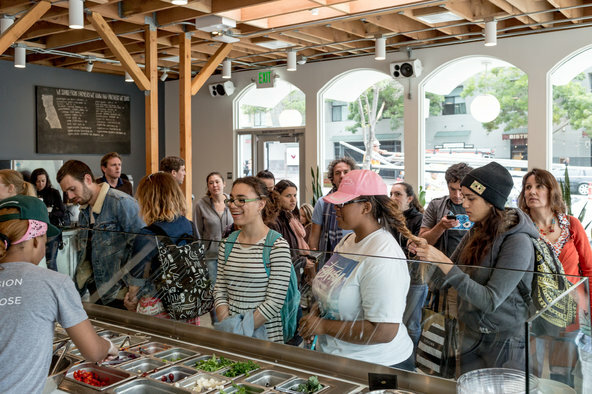 Ten years later, the line is still there, but Sweetgreen has grown into a nationwide salad chain, with more than 40 locations. Sweetgreen is part of a small but growing breed of farm-to-table fast-food chains – like Chopt Creative Salad Company on the East Coast and Tender Greens in California – that are giving fast-food restaurants a plant-based makeover. Their mission: to fix fast food, which has long been fattening and heavily processed. 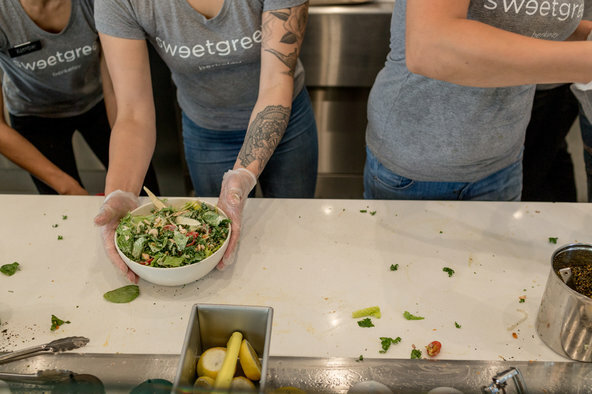 Sweetgreen’s owners say their goal is to offer customers foods made with nutritious, sustainable and locally grown ingredients. The company has decentralized its food sourcing and production. Fresh vegetables, cheeses and other ingredients are shipped directly to each restaurant from nearby farms and then chopped or cooked on site. They don’t sell soda or use refined sugar. Sweetgreen expects to open another 20 stores in major cities around the country this year, and eventually to expand to places where experts say healthy, delicious fast food is needed most — low-income neighborhoods. But while the chain has proven there is a big appetite for more healthful fast food, the goal of taking this concept to poor areas may be a distant reality. The company and other chains like it operate almost exclusively in affluent communities, far from the low-income food deserts where obesity is rampant and farmers’ markets and healthy food stores are scarce. And with salads that typically cost between $9 and $14, some question whether a healthful fast-food chain like Sweetgreen can ever be affordable for average Americans. Maegan George, a Columbia University student who lives near a Sweetgreen, calculated that for the price of one Sweetgreen salad, she could buy the same ingredients in bulk at a local market and make several similar salads at home. 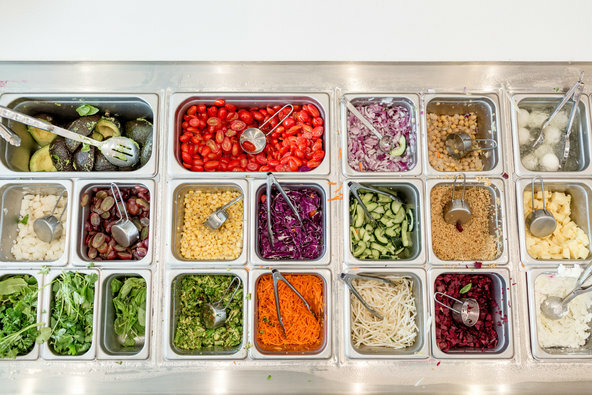 Jackie Hajdenberg, another Columbia student, wrote about the restaurant for the campus newspaper, The Spectator, earlier this year, lamenting that on a per calorie basis, a salad at Sweetgreen was three times the price of a Big Mac at McDonald’s. “Sweetgreen has not only made it easier for people to make healthy decisions – it has also illustrated the unequal socioeconomic landscape of the world in which we live,” she wrote. Sweetgreen says it prices its food so that it can compensate its suppliers and employees fairly, and that it expects nutritious fast food to become more affordable as the healthy food movement grows. Nicolas Jammet, a co-founder of Sweetgreen, said the company wants to serve lower-income customers, and has long-term plans to expand to low-income communities. To get there, he said, the company will have to overcome hurdles involving its supply chain, the minimum wage and greater nutrition awareness and education among the public. For the past six years the company has been running a nutrition education program in schools that teaches children about healthier eating and locally grown food. Mr. Jammet notes that the company was among the first to show that fast-food chains don’t need profits from soda and sugary drinks to succeed. He believes chains like Sweetgreen have caused a ripple effect throughout the fast-food industry. In January, for example, Chick-fil-A unveiled a new kale, broccolini and nut “superfood” salad, responding to customer demands for “new tastes and healthier ways to eat in our restaurants.” McDonald’s is experimenting with kale salads, and Wendy’s is testing a spinach, chicken and quinoa salad. Public health experts say that such changes cannot come soon enough. A University of Toronto study recently showed that people have a higher risk of developing diabetes if they live in “food swamps” – an area with three or more fast-food restaurants and no healthy dining options. 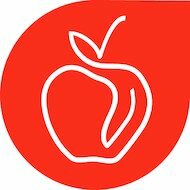 Another study published in JAMA in June found that the percentage of Americans eating an unhealthy diet — high in sugar, refined grains, soft drinks and processed foods and low in fruits and vegetables — was on the decline, but the improvements in diet were much smaller for lower-income Americans. Overall about twice as many people from poor households have poor diets compared to those at higher income levels. Why is traditional fast food so cheap? One reason is the underlying infrastructure of the industry. Many of the ingredients, like the soy that’s turned into oil for deep fryers, or the the corn that’s fed to animals and used to make high-fructose corn syrup, begin with crops that are heavily subsidized by the government. To make their food economical, many traditional fast-food chains mass-produce their food in large factories, often stripping it of fiber and other nutrients that decrease its shelf life, while adding salt, sugar and other flavorings and preservatives. Then they freeze and ship the processed components, like burger patties, bread, pickles and sauce, to their restaurants. There they are reheated and assembled, often with minimal effort, ensuring that a Big Mac in Seattle looks and tastes the same as a Big Mac in Charlotte, N.C.
By comparison, every Sweetgreen location has a chalkboard that lists the farms where its organic arugula, peaches, yogurt or blueberries are produced. 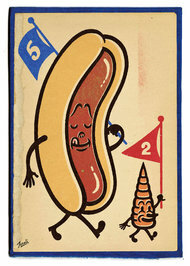 As a result, the menus vary by location and by season. In Boston, Sweetgreen stores use New England Hubbard squash. In Los Angeles, the menu features a different variety of squash grown locally in California. 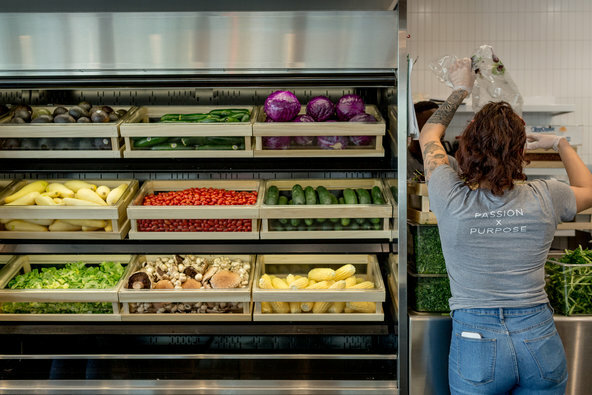 Those differences mean fresher, more nutritious ingredients, but ultimately costlier food for customers — one of the obstacles that Sweetgreen and other chains like it will have to overcome if they hope to make their food more accessible to all income brackets. Marion Nestle, a professor of nutrition, food studies and public health at New York University and the author of “Food Politics,’’ says restaurants like Sweetgreen offer an encouraging, but imperfect, model for making fast food more healthful. 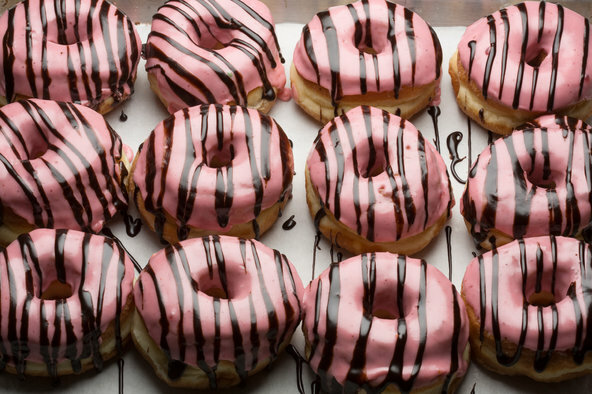 Obese children who cut sugar from their diets saw improvements in markers of heart disease after just nine days, a study in Atherosclerosis found. For the study, researchers evaluated 37 children ages 9 to 18 who were obese and at high risk for heart disease and Type 2 diabetes. 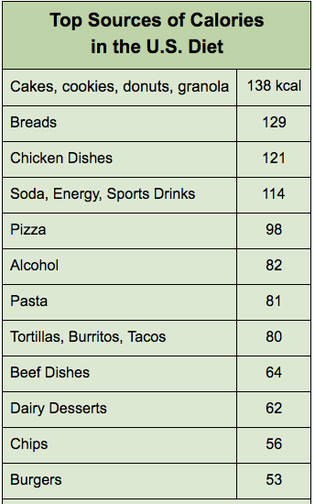 The children were given food and drinks totaling the same number of calories, fat, protein and carbohydrates as their typical diets. The only change was their sugar intake: The researchers swapped foods high in added sugars, like pastries and sweetened yogurts, for options like bagels and pizza. 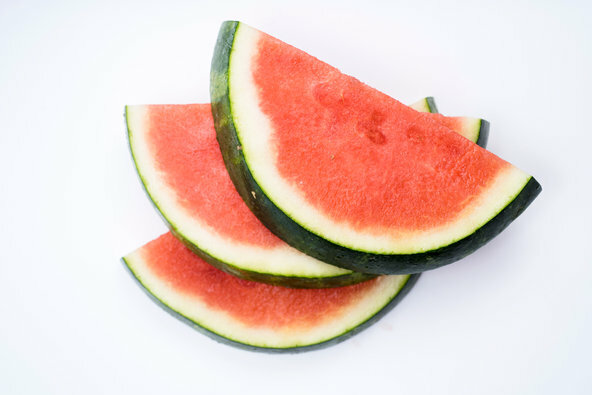 This lowered dietary sugar from 28 percent to 10 percent, and fructose from 12 percent to 4 percent of total calories. After nine days, the researchers found a 33 percent drop in triglycerides, a type of fat tied to heart disease; a 49 percent reduction in a protein called apoC-III that is tied to high triglyceride levels; and dramatic reductions in small, dense LDL cholesterol, a risk factor for heart disease. 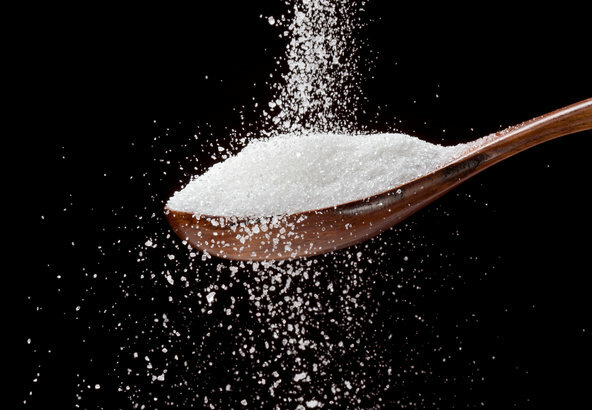 Though this study is small and short-term, it builds on this group’s previous research implicating added sugars as a contributor to metabolic disorders and heart disease. “Sugar calories are not like other carbohydrate calories,” said Dr. Robert Lustig, a co-author of the study and professor of pediatrics at Benioff Children’s Hospital at the University of California, San Francisco. “Without changing total carbohydrate, or fat, or protein, we were able to accomplish this enormous improvement in their cardiovascular risk factors,” unrelated to weight loss, he said. My dad’s face lit up as he placed the engraved linen envelope on the table. We were to be guests at the annual pool party at his boss’s home in East Hampton, N.Y. Not only were we invited for dinner, we were invited to stay for the whole glorious weekend. Our host was my dad’s boss at the McCann Erickson ad agency, where he was a new creative director. Getting an invitation to his house was more than a polite formality; it was an honor. His family lived on Park Avenue, summered in the Hamptons, and lived by the Emily Post school of etiquette. My family never summered anywhere. We didn’t dress for dinner, we didn’t play golf or tennis, and no one in my family had ever studied Latin or carried a monogrammed bag. While my dad was flattered, the pressure that accompanied the invitation was huge. His weight had ballooned to almost 400 pounds since landing the job, thanks in part to the decadent three-course client lunches and late-night strategy dinners. In the office, people were focused on my dad’s marketing ideas, but in the Hamptons, my dad said appearances were everything, and there was no hiding behind his creative storyboards and well-thought-out campaigns. He would be presenting my mom, my little sister, April, and me, and showing himself in a more vulnerable setting. The month leading up to the Hamptons trip was filled with anxiety. 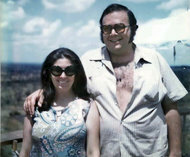 My mom and I rushed around shopping for the perfect outfits, and my dad, determined to fit into a bathing suit, starved himself, declaring he was on the “Super Model Diet,” which consisted of hot coffee, cold coffee, coffee shakes, coffee bread, unlimited cigarettes and water. Even at 10 years old, I knew this was not healthy. 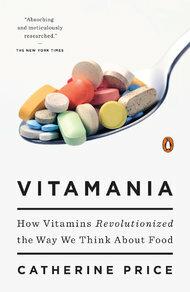 I had read the many nutrition and diet books that filled every bookshelf in our house. Each week a new diet, a new promise for miracle results. “All the actresses and dancers in my commercials swear by this one,” my dad said. “They say substituting a zero-calorie cigarette for lunch helps them stay camera-ready,” he added. 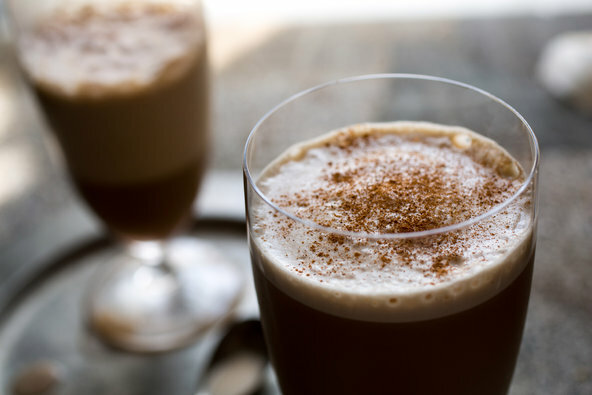 Seeing how worried I was, my dad declared he had never had so much energy, begging my sister and me to try to tag him while he ran up and down the halls of our apartment — not even tempted to take a peek at the diet bread I had just baked for him — adding the required three-quarters of a cup of coffee to my ingredient list. After successfully losing over 20 pounds on the coffee and cigarette diet in a couple of weeks, my dad headed to Mr. Big & Tall on Eighth Avenue for a couple of items before picking up the Hertz Rent-a-Car. My dad was proud of his new lime-green Bermuda shorts with pictures of palm trees. As we drove to the Hamptons in our beach clothes, my parents argued because my mom, who was in charge of directions, kept navigating us the wrong way. When we finally made it off the highway, my parents became calmer, admiring the quaint churches, old houses and windmills planted on village greens. Arriving hot and disheveled after our long drive, we were greeted by my father’s boss’s wife, who was wearing a neatly pressed blue Pucci cocktail dress, adorned with a single strand of pearls. Tucking her coiffed blond hair behind her ears, she offered us iced tea with orange slices and led us to the back yard. It was like no pool party I had ever been to, and I wondered if anyone was actually planning to swim. The tables had crystal candlesticks, and waiters were passing around trays of delicious appetizers that I couldn’t pronounce. Among them were rumaki — chicken livers wrapped with chestnuts — and soufflés — puffy omelets loaded with cream. There were plates stacked on top of plates and more silverware than I had ever seen. For dinner, we each had our own one-and-a-half-pound lobster with a side of mussels and white sweet corn from the local farm stand. The kids and the grown-ups were served the same food, but we were not seated at the same table. Parents and kids sitting together was a no-no, according to our host’s son, whom I was placed next to. The boy, who was wearing a jacket and a tie, was only a year older than I was but had the demeanor of a grown man. When I asked, “Aren’t you hot in that stuffy outfit?” he said that the men in their family “always wear a tie and a blazer at dinner each and every night.” He motioned to me to unfold my napkin and place it over my bare legs, dangling above the ground. I tried to follow his lead as I saw my dad covered in melted butter and lobster juice. He seemed to be enjoying himself immensely, not shy about asking for seconds and thirds of potatoes au gratin as he forfeited the salad and green beans. “I need to leave room for the good stuff,” he exclaimed, loosening his belt buckle, as the table howled in laughter, watching my dad joyfully dash to the dessert table. “Go for the gusto, Lerman!” my dad’s boss bellowed, pleased that all the guests started chanting my dad’s award-winning slogan for Schlitz beer. “You Only Go Around Once in Life, So Grab the Gusto,” they yelled out, encouraging my father to load and re-load his plate. While I knew that the next day my dad would have regrets, and his vicious cycle of yo-yo dieting would begin again, that night I relaxed, savoring every bite of the succulent meat — hoping my first lobster dinner would not be my last. 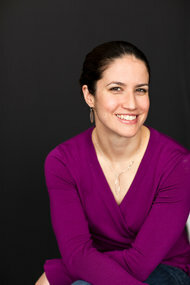 Dawn Lerman is a Manhattan-based nutrition expert and the author of “My Fat Dad: A Memoir of Food, Love and Family, With Recipes,” from which this essay is adapted. Her series on growing up with a fat father appears occasionally on Well. Follow her @DawnLerman. You don’t have to be a vegetarian to reap the benefits of a plant-based diet. New research shows that eating a few extra servings of healthy plant-based foods each day and slightly reducing animal-based foods like meat and dairy products can significantly lower your risk of Type 2 diabetes. The findings are based on an analysis of the eating patterns of 200,000 men and women from three long-term studies who reported on their diets repeatedly over the course of two decades, and were published this week in PLOS Medicine. The studies — the Nurses’ Health Study, the Nurses’ Health Study 2 and the Health Professionals Follow-Up Study — asked participants to fill out more than 100 detailed questions about their eating habits. They provided information not just about the foods they ate but about how the food was prepared and even what cooking oils were used. While self-reported dietary information can be flawed, extra steps were taken to confirm the data. Participants completed questionnaires every two to four years, and the nutrient intake information was compared to tests of blood biomarkers to make sure they matched up. The results were also adjusted, or modified, to account for other characteristics that contribute to Type 2 diabetes, like being overweight. The research was also unusual in that it distinguished between healthful and unhealthful plant-based foods. Healthful plant-based foods include whole grains, fruits, vegetables nuts, seed and legumes, while an unhealthful plant-based diet could include refined carbohydrates like bagels and muffins, starchy vegetables like potatoes and French fries and sugary foods like cake and cola. Animal-based foods include meat of all kinds, fish and seafood as well as eggs, dairy products and animal fats like butter. On average, adults who ate a plant-based diet with few animal products cut their risk of Type 2 diabetes by 20 percent. But when researchers distinguished between healthful and unhealthful plant-based foods, they found that diabetes risk dropped by 34 percent among the healthful plant-based eaters. Notably, there wasn’t a benefit to plant-based eating when a person consumed a lot of refined carbohydrates and starchy vegetables. In that case, a person’s risk of developing Type 2 diabetes increased slightly. While most American adults are omnivores, eating from many different food sources, and few are vegetarian, the research suggests that simply reducing the amount of animal-based food you eat from five or six servings a day to about four servings a day can lower the incidence of Type 2 diabetes. When people make these changes in diet, they usually cut back on red meat and processed meats and substitute healthier plant-based foods, including protein-rich ones like nuts, seeds and legumes, said Frank Hu, the study’s senior author and a professor at Harvard’s T.H. Chan School of Public Health. Good plant-based foods are known to be rich in fiber, antioxidants, good fats and a wide array of micronutrients, and have been shown to improve glucose metabolism and lower inflammatory markers. But scientists say they also help promote the good-for-you bacteria that live in your gut. The bacteria in the gut use components of plant-based foods like fiber for their own survival and growth. These components are metabolized by the intestinal bacteria, and the end products are short-chain fatty acids, which have been shown to have beneficial effects on inflammation, insulin resistance and overall metabolism. They also may send a satiety signal to the brain, so people feel fuller. 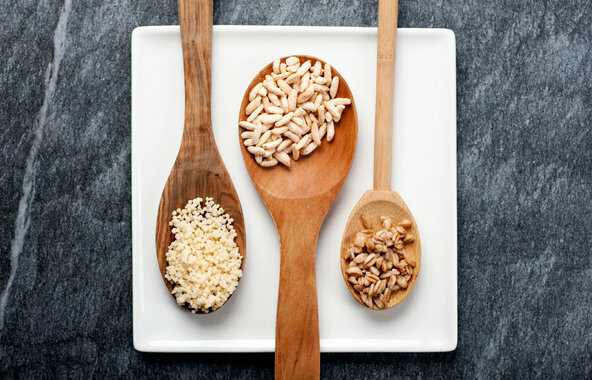 When you eat refined carbohydrates and have less fiber in the diet, the healthy bacteria that metabolize fiber will be reduced, “so you won’t have the short-chain fatty acids that would have beneficial effects in your body,” Dr. Hu said. 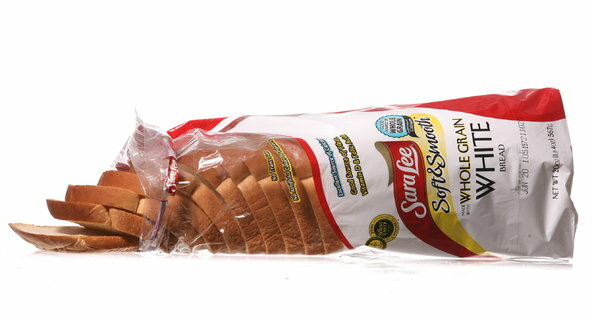 New food products making claims about health and nutritional attributes are on the rise. With the average American grocery store carrying 42,214 items, it’s easy to see why a trip down the aisle can leave you scratching your head. Test your supermarket savvy with this quiz. 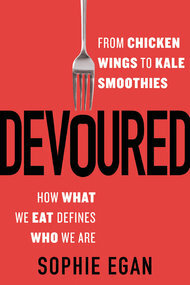 Sophie Egan is the author of “Devoured: From Chicken Wings to Kale Smoothies — How What We Eat Defines Who We Are,” on which this quiz is based. 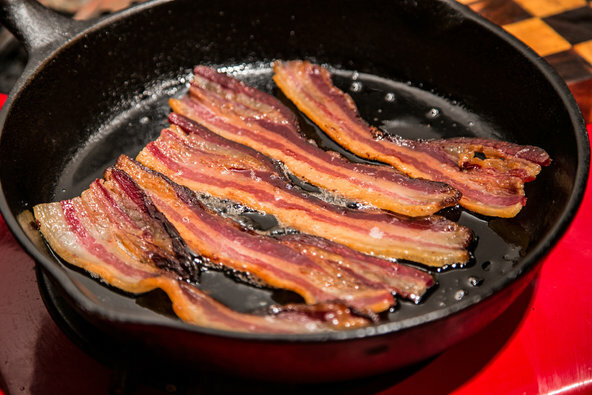 Eating a high-fat diet may lead to daytime sleepiness, a new study concludes. Australian researchers studied 1,800 men who had filled out food-frequency questionnaires and reported on how sleepy they felt during the day. They were also electronically monitored for obstructive sleep apnea, which causes people to wake up many times during the night. After adjusting for factors that could influence sleep — smoking, alcohol intake, waist circumference, physical activity, medications, depression and others — they found that compared with those in the lowest one-quarter for fat intake, those in the highest one-quarter were 78 percent more likely to suffer daytime sleepiness and almost three times as likely to have sleep apnea. The connection of fat intake to apnea was apparent most clearly in people with a high body mass index, but the positive association of fat intake with daytime sleepiness persisted strongly in all subjects, regardless of B.M.I. Thestudy is in the journal Nutrients. “The possible mechanism could be meal timing, but we didn’t have that information,” said the lead author, Yingting Cao, a doctoral candidate at the University of Adelaide. “But we have reason to believe that circadian rhythm, hormones and diet all work together to create these effects. A century ago, most local health departments concentrated their efforts on fighting infectious diseases like cholera, polio and tuberculosis. But today, many health departments have a very different focus: cancer, heart disease and Type 2 diabetes, some of America’s leading killers. Fighting these diseases often means promoting changes in lifestyle and behavior, and no health department has done that more aggressively than New York City’s. Under former Mayor Michael R. Bloomberg, New York’s health commissioners — first Dr. Thomas R. Frieden, and then Dr. Thomas A. Farley — took on smoking, sugary drinks, sodium, trans fats and binge drinking. Those battles weren’t always successful. A state court struck down the city’s controversial soda tax initiative, and critics complained that New York City was becoming a “nanny” state. But Dr. Farley, who served as New York’s health commissioner from 2009 to 2014, says the city’s efforts helped demonstrate that the key to eradicating lifestyle-related diseases is by changing environments — making bad choices harder and good ones easier. 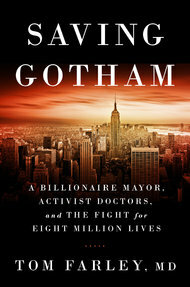 He makes a case for this approach in his latest book, “Saving Gotham: Billionaire Mayor, Activist Doctors, and the Fight for Eight Million Lives,” which shares the behind-the-scenes story of the Bloomberg administration’s radical approach to fighting chronic disease. 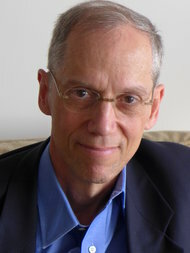 Dr. Farley, who later served as the Joan H. Tisch Distinguished Fellow in Public Health at Hunter College and chief executive of the Public Good Projects, is now the health commissioner of Philadelphia, where earlier this month the mayor proposed a soda tax as a way to fund schools, libraries, and parks and recreation centers. Recently we caught up with Dr. Farley to talk about his book, his battles with the beverage industry and how his approach to public health may have influenced other health departments around the world. Here are edited excerpts from our conversation. Why did you write your latest book, “Saving Gotham”? I wanted to show that there’s a way to fight disease other than through expensive medical care. In the United States, we spend roughly twice as much per capita for medical care as other high-income countries, and our health statistics are close to last. People naturally assume we’re going to solve this problem through medical care. But it doesn’t fit with those statistics. There’s a different approach — a public health approach — that costs very little. The book tells the story of how with using that public health approach we were able to prevent the leading causes of death and save many lives. As New York City’s health commissioner you led many public health campaigns. Which had the most impact? I would say it was our efforts to reduce smoking. During the time of the Bloomberg administration, smoking rates fell by about 25 percent in New York. Since then they’ve fallen by about a third. That’s about 400,000 fewer smokers. And that alone should save thousands if not tens of thousands of lives. At the same time, sugary drink consumption fell by about a third, and heart disease mortality fell by about 40 percent. Did these efforts ultimately translate into an increase in life expectancy? Absolutely. During the Bloomberg years, life expectancy at birth in New York City increased by about 3.2 years. During the same period, life expectancy in the U.S. as a whole increased by 1.8 years. So we were fast outpacing the rest of the country, and that increase in life expectancy was bigger than it was in any other big city in America. Some of your health initiatives created a lot of controversy. Where did you find the most resistance? There was controversy, but most of the resistance came from industry. In the book, I show how some of the biggest risks today are coming from companies that make, sell and market products that over a lifetime make us sick, like cigarettes and sugary drinks. When New York City passed the smoke-free air rule that made bars and restaurants smoke free, it was a radical idea. And that idea has now spread across most of the U.S. and almost all of Europe — so much so that it’s almost hard to imagine what it would be like to have smoking in a bar or restaurant. The book shows how those good ideas can quickly spread from one city to others, despite resistance from industry. The beverage industry says that sugary drink taxes disproportionately hurt the poor economically. How do you respond? I would say that the poor are disproportionately suffering from obesity and Type 2 diabetes as a consequence of sugary drinks. They drink more sugary drinks now than people who have more money. Because people with lower incomes are more price-sensitive, they will disproportionately benefit from efforts to reduce sugary drink consumption. The new soda tax proposal in Philadelphia was presented as a way to generate more revenue for the city, rather than as a “sin tax.” Do you think that will make it more appealing to the public? This is something that is central to the mayor’s agenda, and I think his way of approaching it is terrific. The revenue from the sugary drink tax will go for pre-K, for what they call community schools — which is providing services for children so they can stay in school and learn — and for rebuilding the city’s parks and recreation centers. All of those preferentially benefit people of lower income in Philadelphia. All of those are very popular and will benefit health over the long term. It’s a great way to match up the benefits of the tax revenue with a source of revenue that is also good for health. You have spent a lot of time fighting the beverage industry. Have you seen any change in their response over the years? The beverage companies understand that they’re going to have to change the way that they do business. And they are making changes — but they’re not making changes fast enough. They still market very heavily these products that are major contributors to our health problems. In the end, they will move only as fast as we push them. How did New York’s health initiatives impact the greater public health landscape? That was another theme I tried to bring out in the book. This is the story of a local health department reinventing itself to take on the biggest health problems of our time. Before the Bloomberg period, most local health departments were seen as organizations that did restaurant inspections and rat control. We showed that local health departments could take on smoking and make a meaningful difference in life expectancy. That model is now being copied by local health departments around the country. And that’s why I think local health departments are where you’re seeing public health innovation right now. Are there any common misconceptions about the role of public health agencies that you have tried to dispel? A thing that people often don’t understand and that I hoped to show in the book is that health is political, but not in the way that most people think. If you ask most reporters about the politics of health, they’re going to talk about Obamacare. But as you saw in the book, the fights we faced over health were with the tobacco industry and with the food industry. I hope people read the book just for the story, because it’s a great story, but that in the end they will have learned the great value of public health. Most Americans know that a heart-healthy lifestyle includes eating a healthful diet, not smoking, being physically active and keeping weight and body fat down. But a new study found that fewer than 3 percent of American adults could claim all four healthy elements. Only 2.7 percent of the Americans in the study were nonsmokers who ate a reasonably good diet, including eating plenty of vegetables and whole grains and avoiding saturated fat; got at least 150 minutes of moderate exercise a week; and had a healthy percentage of body fat, defined as up to 20 percent for men and 30 percent for women. The study, published in Mayo Clinic Proceedings, was based on data gathered from the National Health and Nutrition Examination Survey from 2003 to 2006 and included a nationally representative sample of 4,745 Americans. 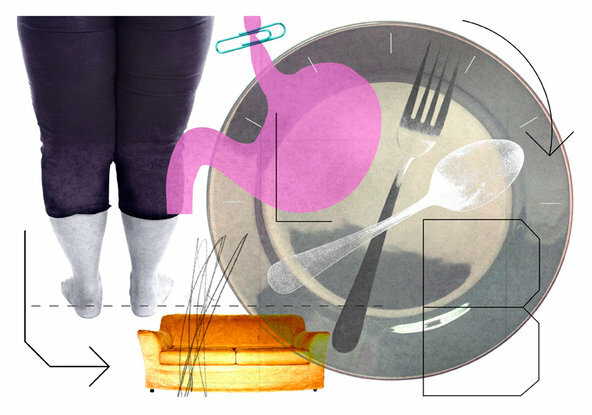 Eating habits were self-reported, which can be unreliable, but other measures were based on objective tests, including blood samples to verify smoking status, a sophisticated X-ray test to determine body fat, and accelerometers to measure physical activity. 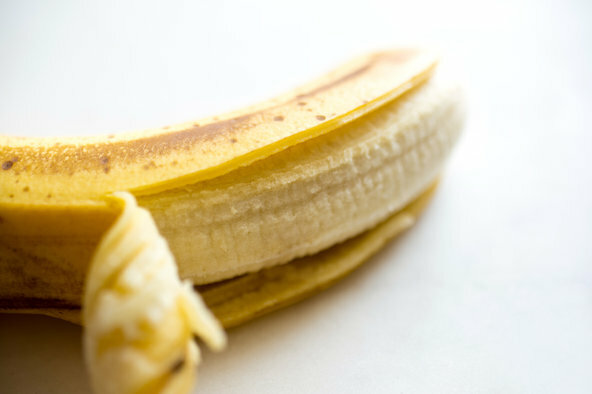 Ask Well: Should I Take a Potassium Supplement? It has been promoted in best-selling books and endorsed by celebrities like the actors Hugh Jackman and Benedict Cumberbatch. The late-night talk show host Jimmy Kimmel claims that for the past two years he has followed an intermittent fasting program known as the 5:2 diet, which entails normal eating for five days and fasting for two — a practice Mr. Kimmel credits for his significant weight loss. A third regimen, which Dr. Mattson follows, is known as time-restricted feeding. The idea is to consume all of the day’s calories in a narrow window, typically six to eight hours, and fasting for the remaining 16 to 18 hours in a day. Studies of time-restricted feeding practices in both animals and humans have suggested that the practice may lower cancer risk and help people maintain their weight. 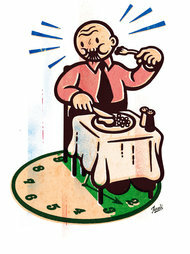 The scientific community remains divided about the value of intermittent fasting. Critics say that the science is not yet strong enough to justify widespread recommendations for fasting as a way to lose weight or boost health, and that most of the evidence supporting it comes from animal research. Advocates say the body of research on intermittent fasting is growing rapidly and indicates that the health benefits are striking. Dr. David Ludwig, a professor of nutrition at the Harvard T. H. Chan School of Public Health, said one benefit of fasting is that it forces the body to shift from using glucose for fuel to using fat. 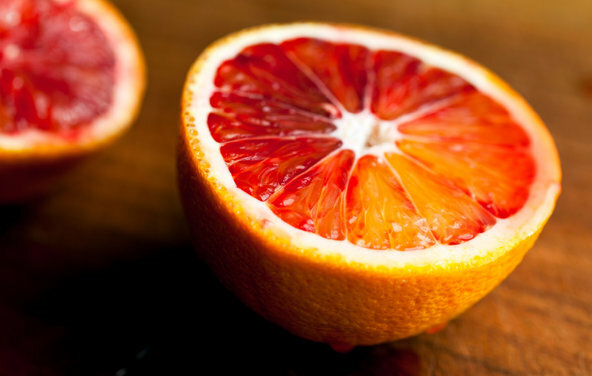 During this process, the fat is converted to compounds known as ketones, a “clean” energy source that burns more efficiently than glucose, like high-octane gasoline, Dr. Ludwig said. The same process, known as ketosis, occurs when people go on extremely low-carb, high-fat diets. Dr. Ludwig said ketones seem to have unique effects on the brain. High-fat diets, for example, have been used for years to treat people who suffer from epileptic seizures. Dr. Ludwig noted that the long-term effectiveness of fasting had not been well studied. He cautioned that for many people, fasting is simply too difficult and may slow metabolism. A potentially more practical approach is to limit sugar and other processed carbohydrates, replacing them with natural fats, protein and unrefined carbohydrates, he said. “It takes a very disciplined person to skip a couple meals every day,” he added. But Dr. Mattson, who has been skipping meals for decades, said the adjustment to skipping breakfast and lunch was a lot like the change that occurs when a couch potato starts exercising. 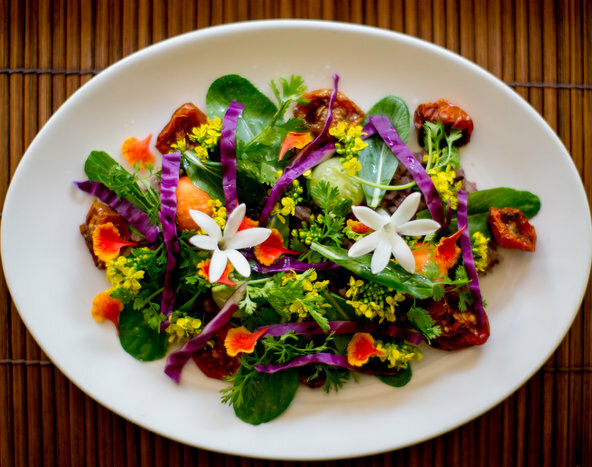 Have You Tried a Fasting Diet? Tell Us About It. 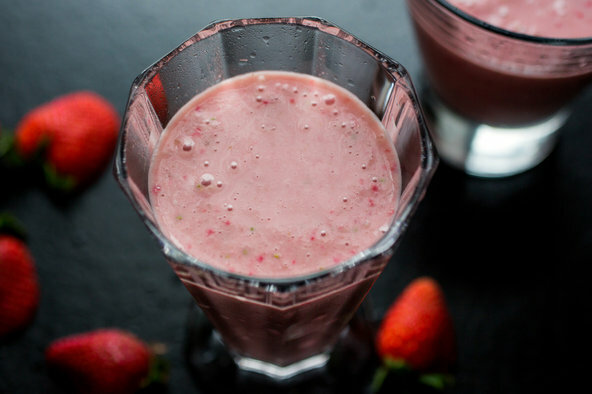 What type of fasting diet have you tried? How did you hope to benefit from a fasting diet?